What do you use or do to the white mildew all over the leaves? 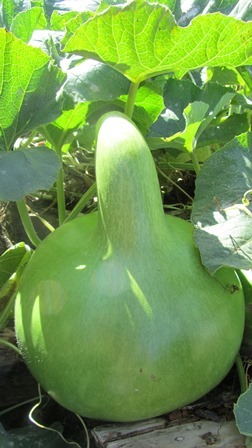 We have grown pumpkins before and get this alot. Do you know how to prevent it? 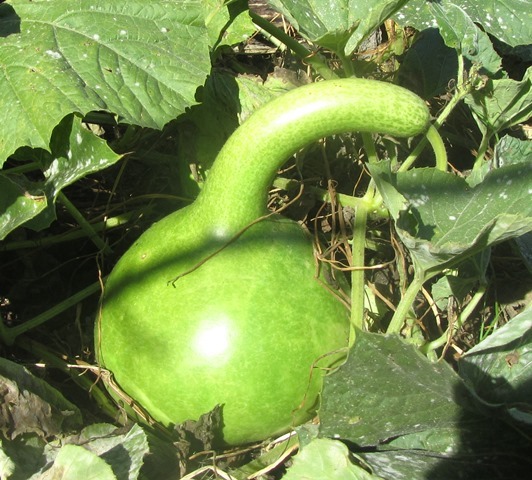 Powdery mildew is part of the natural aging process of the gourd plant, as it is on pumpkins and other squashes. 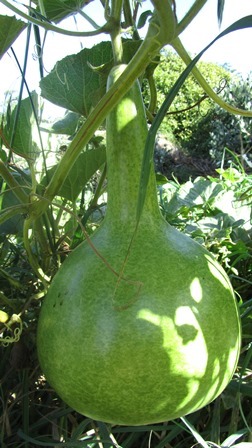 You might notice there are still green and growing leaves unaffected by mildew at the tip of each vine. 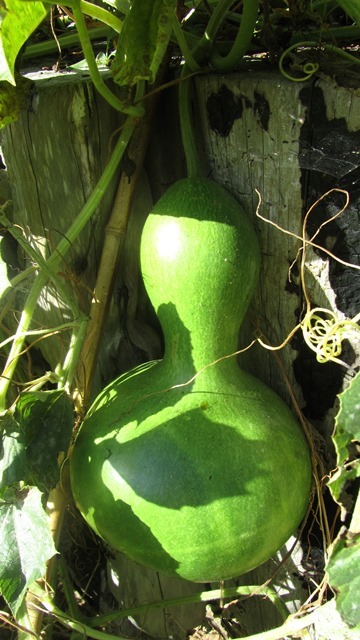 Because gourds are annual plants, they begin to decay at the end of the season.